Out of all the highly revered poker outfits in the Asian region, one brand known to take plenty of risks is the Asian Poker Tour (APT). Based in the Philippines, the APT is a true pioneer of the sport. The brand takes on several new destinations each year, even going as far as the tiny French colony of New Caledonia. For 2018, more destinations have been announced and to launch the new season, they flew to Ho Chi Minh (formerly Saigon) to host the APT Kickoff Vietnam 2018. This was their first season opener outside of Manila. The ten-day poker festival has been ongoing at the Pro Poker Club with a massive turnout of players from Vietnam and from other parts of the world eager to take part in this inaugural event in HCMC. The doors opened on January 19, and everyday since then, the poker room has been filled to capacity. 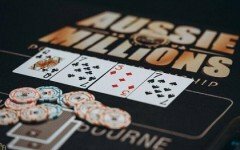 With poker booming in Vietnam, it was high time that a major international poker event take place. The market is young with many players eager to take the game into the public realm. This was evident in the sheer volume of the APT Main Event. Many locals were in attendance and with an incredible 664 entries, the prize pool catapulted to VND 9,661,200,000 (~US$425,000), which is over three times the guarantee. Undoubtedly, this has become the biggest tournament poker prize pool the country has ever seen. But it didn’t come without hitches. Talking about problems and challenges, several side events and satellites had to be cancelled to give way to the volume of players for the Main Event. At the completion of the three starting days, there were 321 qualifiers to Day 2, and for a room that has a maximum of 20 tables, adjustments were in order once again. With the government loosening up on tournament poker last year, the number of local poker clubs and poker federations has grown exponentially in Vietnam. 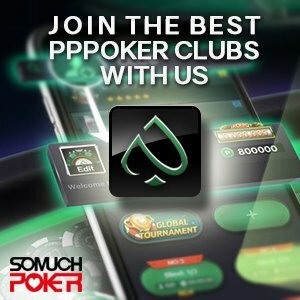 Add in the recent turnout of the APT Main Event, Asia now has a new poker destination to enjoy.